On the early spring day of 11 March 2011, as citizens were busily preparing for the upcoming cherry blossom season, a magnitude 9.0 earthquake struck northeastern Japan, the biggest seismic event ever recorded in the country’s history. 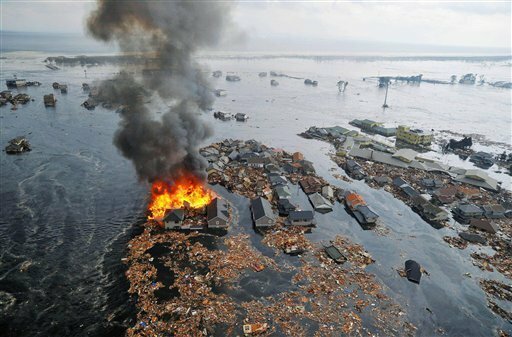 The powerful quake unleashed a 3o-foot high tsunami that swept across the Pacific coast of Honshu (本州) Island and leveled everything in its path. By the time the tremors ended and the water receded, entire cities and towns as far as the eye could see were reduced to a landfill of sludge and rubble. Sendai (仙台), the closest major city to the epicenter with a population of one million, was pummeled beyond recognition. Successive explosions at nuclear facilities near the quake zone spewed radioactive materials into the air. If this was Mother Nature’s way of proving her dominion over man, she had done so many times over. Around 2:30pm Hong Kong time, 45 minutes after the big temblor hit, I received an email from someone in the Tokyo office titled “EARTHQUAKE” in all capital letters. Mika, a colleague of mine doing a deal with me, had sent the message to tell me that she had lost her Bloomberg connection and that she would not be able to send out the term sheet she had promised me. I told my dutiful – and in this case rather insane – colleague to forget the stupid term sheet and hide under her desk in case of aftershocks. An hour after receiving Mika’s harrowing email, iPhone videos of the earthquake captured by Tokyo citizens began to trickle in on CNN and YouTube: office towers swaying like reeds, frightened office workers running to open space, subways, Shinkansen and other mass transit coming to a complete standstill. As is the case for many natural disasters, the physical devastation preceded the economic one. The Nikkei index fell nearly 17% in the first two trading days after the quake, the kind of decline not seen since the 1987 market crash. But the actual economic impact of the twin disasters of earthquake and tsunami remained too vast to ascertain. Apocalypse had befallen Japan and the rest of the world looked on in awe and disbelief. 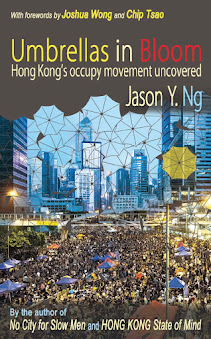 Like many others in Hong Kong, I was glued to the television screen watching the endless loop of raw footage playing on the 24-hour news channel. One of the first things that struck me was how calm and composed Japanese citizens appeared. There was no screaming, no mass panic and certainly no violence or looting. All I saw was quiet, orderly citizens lining up outside convenience stores and at telephone booths. Part of it is that earthquakes are simply a fact of life in Japan, a quake-prone nation where minor tremors can be felt several times every year. Elementary schools hold monthly earthquake drills and train small children to duck under their desks and run away from simulated fires. 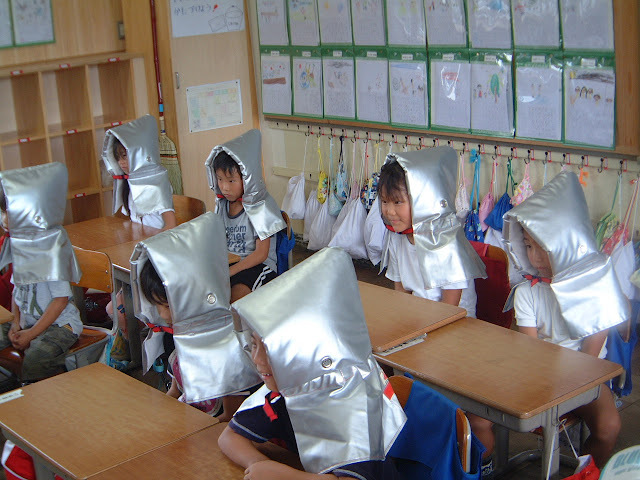 There is a fire proof cushion on every seat in the classroom that can be turned into a bousai zukin (防災頭巾; protective hat) to be used during evacuation. A Japanese friend of mine once told me that it is not uncommon for him to wake up in the morning and find his bed having shifted inches away from the wall. But awareness aside, another explanation for the general tranquility is that Japanese people are disciplined, self-restrained and remarkably civilized. Not even the worst crisis since World War II would betray the sense of mutual respect and dignity so ingrained in the national psyche. It saddens me when I compare how one people behaved in their worst hour to the way the Chinese did in their best, when visitors trampled over each other and elbowed their way into the 2010 Expo in Shanghai, presumably a proud event to showcase China’s civility and modernity. The other thing that struck me about the news footage was that almost every structure survived the powerful quake. Surely the coastal area had been completely ravaged by the unstoppable tsunami – fishing boats, cars and standalone homes were swept away like bath toys. But by and large there have been few reports of collapsed buildings, a testament to the Japanese government’s extraordinary preparedness for natural disasters. Japan has put in place strict building codes to ensure every structure withstand seismic shocks, including the use of some of the world’s most sophisticated springs and dampers systems. All the expensive earthquake engineering that for decades has pushed up construction costs finally paid off, bearing out the age-old Chinese saying that it is worthwhile to feed an army for a thousand days if you can use it for an hour. Then there is the early warning system: as soon as the first tremor was detected, J-Alert, the nationwide satellite-based system broadcast announcements to local media so that citizens were given sufficient time to get to safety. Within hours of the quake, brigades of jieitai (自衛隊; self-defense forces) were bused to the scenes by armored vehicles, while helicopters were deployed to airlift patients from hospital rooftops. Neatly packed supply kits stockpiled in nearby bunkers containing water, dried food and flashlights were promptly handed to victims. This is a government with a plan, a plan designed to minimize casualties and maximize survival in the event of a national crisis. The same cannot be said about that other superpower. Just six years ago, the world witnessed in horror the way the United States bungled the rescue efforts after Katrina, a Category 5 hurricane, overran the city of New Orleans. Six years later, with memories of their government’s mismanagement and lack of leadership still fresh on their minds, many Americans must be watching CNN in marvel of the Japanese government’s efficiency and organization. Watching the earthquake and tsunami unfold in Japan, I couldn’t help but wonder what would happen if something this big happened to Hong Kong. 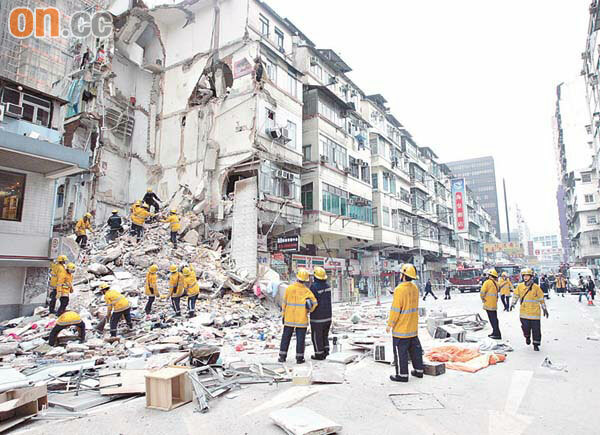 For starters, an earthquake, even one of much less magnitude, would turn every tenement building in the city into a pile of rubble like the collapsed building on Ma Tau Wai Road (馬頭圍道) last year. And it was only a month ago when concerned residents in Wanchai reported tremors in their homes as a result of nearby construction. It would be unimaginable the kind of complete destruction an earthquake could do to a city that fills every occupiable space with pencil buildings up the hills, down the shore and inches from each other. What’s more, the earthquake would force the nuclear power plant at Daya Bay (大亞灣) in nearby Shenzhen to shut down. But Hong Kongers would probably be kept in the dark about radiation leaks, for its operator China Light and Power (中電) doesn’t always tell us what is going on as we so horribly found out last October. Then there is the tsunami that would swallow every square foot of reclaimed land on the north shore of Hong Kong Island from Kennedy Town to Shau Kei Wan, as well as the entire Kowloon peninsula up to Lion Rock. In Central alone, a 30-foot wall of water would push debris all the way up to SoHo and even Midlevels. But don’t count on our government to be of much help. Despite years of drainage projects, Wing Lok Street (永樂街) in Sheung Wan and Ho Sheung Heung (河上鄉) village near Fanling are perennial flood victims vulnerable to even moderate rainstorms. Just last week, a water main on Wong Ngai Chung Road (黃泥涌道) broke and it took the Water Department a total of 6 hours just to locate the valve to turn the water off. Residents and restaurant workers waited late into the night for water trucks that never came. 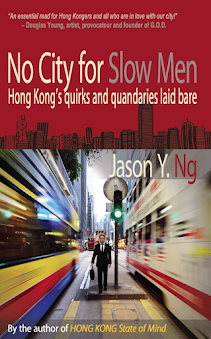 Compared to Japan, Hong Kong is a place utterly unprepared for any emergency situation. Our overpaid, underworked bureaucrats wouldn’t know the first thing about disaster recovery and would instinctively look to Beijing for direction, all the while jealously guarding its HK$260 billion foreign reserve as a political lifesaver. My only hope is that citizens of Hong Kong could be half as civilized and well behaved as their counterparts in Japan so as to prevent the city from plunging into a complete anarchy should any large-scale natural disaster befall us. In the days and weeks ahead, Japan will have to deal with more aftershocks and nuclear power plant malfunctions. The death toll will continue to climb and gut-wrenching survival stories will come to light. What will not happen, however, is another humanitarian crisis like Katrina and Haiti. In its darkest hour, Japan has proven itself a true superpower, one not measured by its GDP growth or military prowess, but by the way its citizens and government work together in times of national crises. As we take our hats off to the Japanese for their grace and civility, we must put on our thinking caps to figure out what to do with our own sclerotic government.